Two elderly gentlemen spend their afternoons sitting on a bench in front of a barber shop arguing about current affairs, debating political issues and discussing life in general. 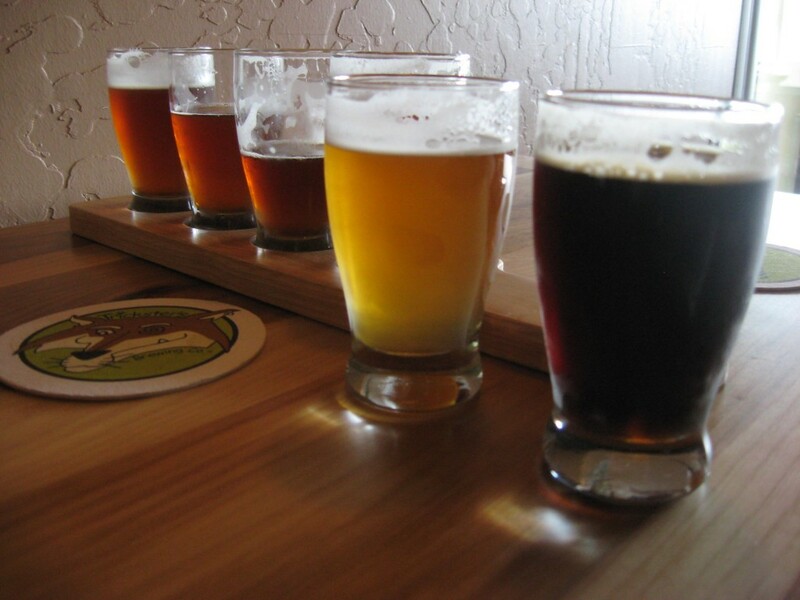 Among their favorite arguments concerns which of the local brands of beer is the best. The one gentleman has his favorite, while the other gentleman favors a different brand. The gentlemen find this suggestion appealing, and so they walk across the street to their favorite saloon and ask the bartender to scrounge up two jars, fill them with the respective brands of beer, and package them up for delivery to the laboratory. LOL, Ken. I once heard a similar joke, only the two elderly gentlemen were Jacob Best (Pabst Blue Ribbon) and Augustus Busch (Budweiser). One small anecdote: Years ago I worked in Milwaukee where Pabst was made at one time (and maybe still is, although today they’re owned by Miller, I understand), and I went on the brewery tour which ends up in the Pabst Pub where you got a free glass of draft Pabst straight out of a fresh barrel. Never one to turn down a free beer (except any kind of ‘lite’ beer, yuck), I drank the free draft and, surprisingly, it wasn’t that bad for a thin, pale American lager. Later that day, I bought a six-pack of Pabst and discovered that much is lost between the brewery and the bottle. I quickly went back to the imported brews that taste like real beer.